I’ve had this recipe pinned for like….ever. No seriously, it’s from August of 2012 and I’m fairly certain I pinned it the day the post went live. 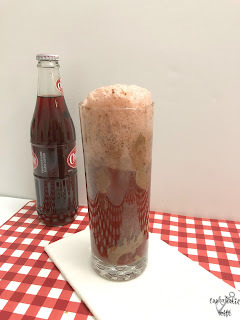 Back then I at least had a good excuse for not making it, and that was because I couldn’t find cherry soda. Cherry Coke, yes. Cherry Pepsi, of course. But never just cherry soda. 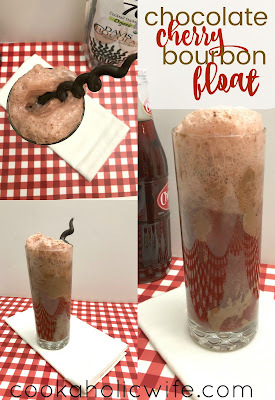 Chocolate, bourbon and cherry soda are definitely some of my favorite things in life, so it’s like this float was made just for me. 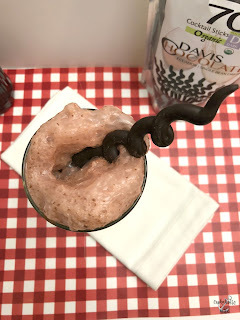 I kind of feel silly sharing this in a recipe format since it’s barely a recipe. It requires the ingredients, tall glasses and an ice cream scoop. Oh and a pretty printed paper straw so you can feel fancy drinking it. 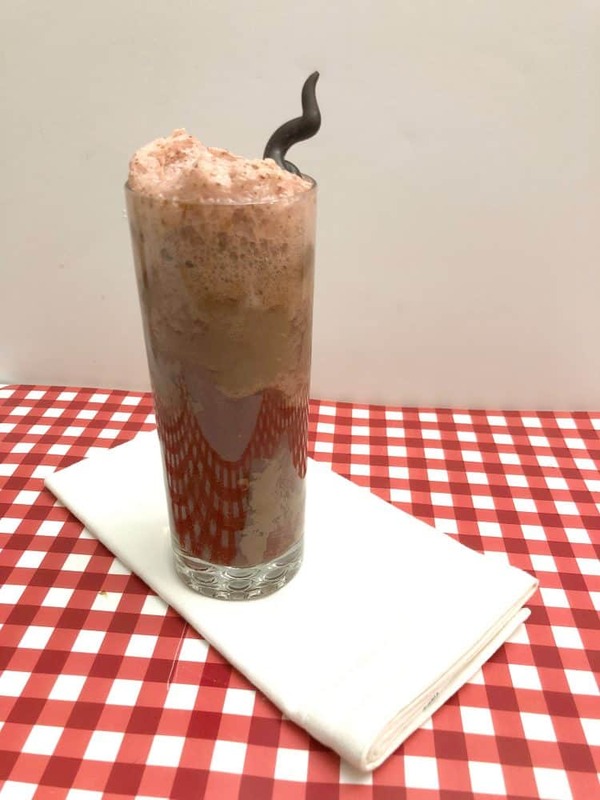 This adult ice cream float is full of chocolate, cherries and bourbon! 1. Divide ice cream into two tall glasses. 2. Pour 2 oz of bourbon (or more, if you like) over the ice cream. 3. Pour 1 ½ cups of cherry soda on top. Add a printed paper straw for fun. Drink and enjoy! DE-LICIOUS! If you’re a fan of bourbon, you’re gonna need one of these. And if you maybe drink both of them yourself because your husband is weird and doesn’t like cherry soda or bourbon, I’m not going to judge you or anything. Time is running out to enter the giveaway! Click here to go back to Monday’s welcome post to enter.